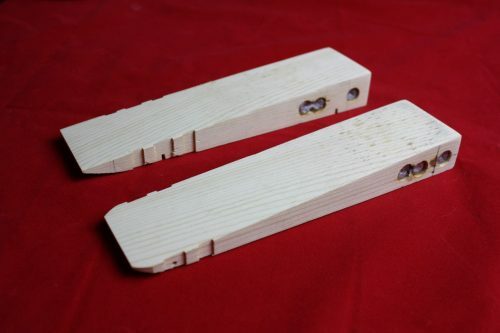 Derby Dust® tech’s utilize 7 Steps in making fast pinewood derby car kits. 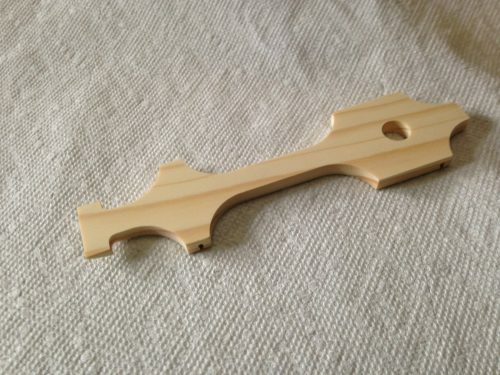 Designed for minimum wood weight designed for maximum weight placement. Get your COG tricked out for ultimate performance. See Detailed pictures for More information. This body style will only work with HEAVY canopy weights. You will need a minimum of 3.5 of canopy weight. 3.8-3.9 is probably the desired overall added weight to the body. 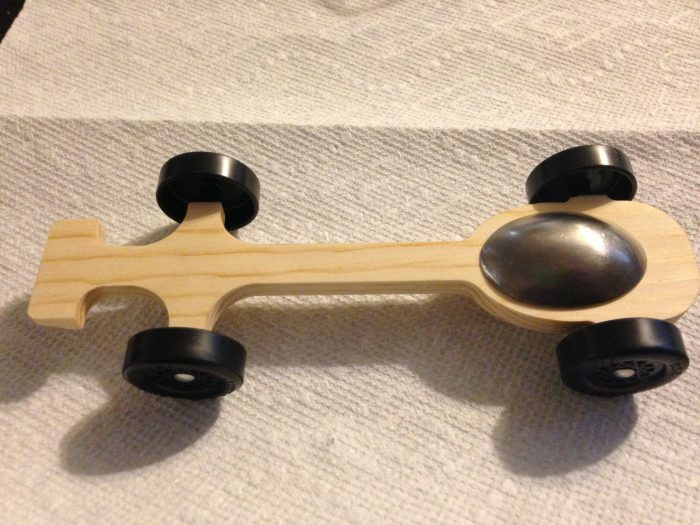 Car Canopy #7 is a variation of our light weight pinewood derby car body that utilizes a canopy style weight that sits flush on top. This variation can use either a tungsten or lead canopy. Coming in around 13 grams, wood is precisely removed to eliminate wheel rub, and overall wood weight while keeping a strut structure to keep strength. Important Decision. Check your rules! 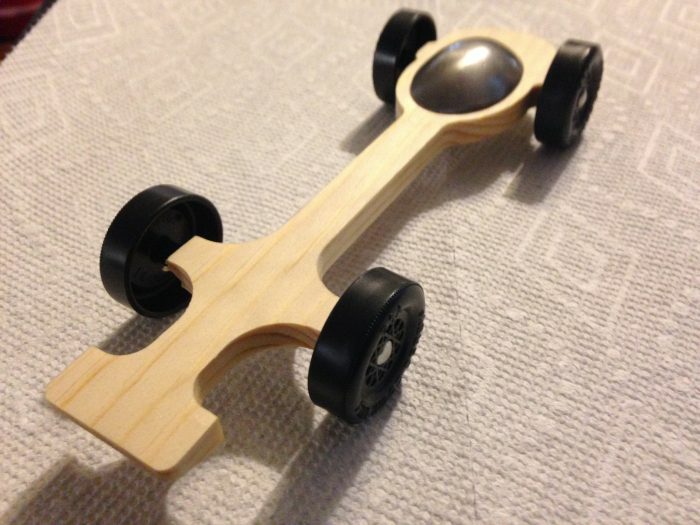 Ultralight Pinewood Derby Canopy Car 7 is our very own unique design. Designed be light and structurally sound. Coming in right around 10 grams, you will still need a canopy type weight to bring the car to proper racing weight. This body style will only work with HEAVY canopy weights. You will need a minimum of 3.5 of canopy weight. 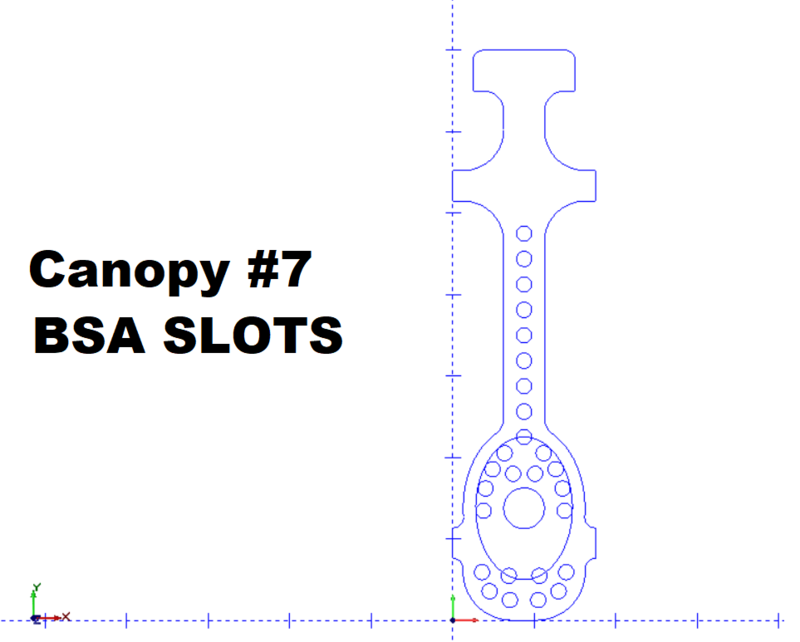 3.8-3.9 is probably the desired overall added weight to Ultralight Pinewood Derby Canopy Car. 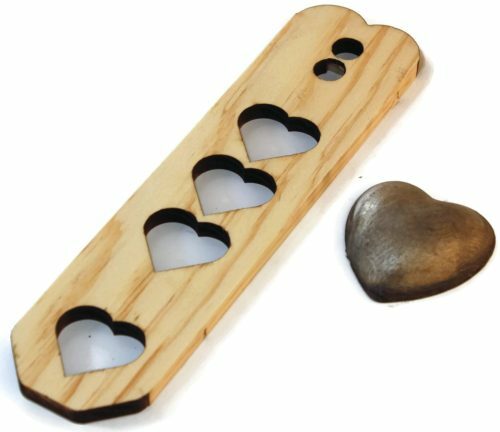 Belly pockets for additional weight placement designed for cubes 3/16″ or smaller. 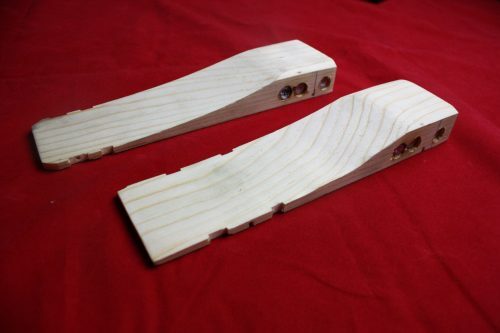 Ultralight Pinewood Derby Canopy Car are designed with minimum wood weight in mind. We use simple, proven designs that will get you in the winner’s circle. Since we remove a lot of the strength structure of the wood block, handle these bodies with care. NO HAMMERING ever. Because of this a #44 drill bit provided with each body to ensure easy proper axle install. Made from an official BSA block, know Ultralight Pinewood Derby Canopy Car is always compliant with national rules because it utilizes the BSA Slots. The rules of local events sometimes differ from those of BSA box rules. Due to this, it is necessary to know your rules before choosing our unique modifications for your PWD car. Each pack’s rules will be different. We ask before you make a purchase, please check your local rules. If you are unsure about the terminology, just email us, we will get you what you need. 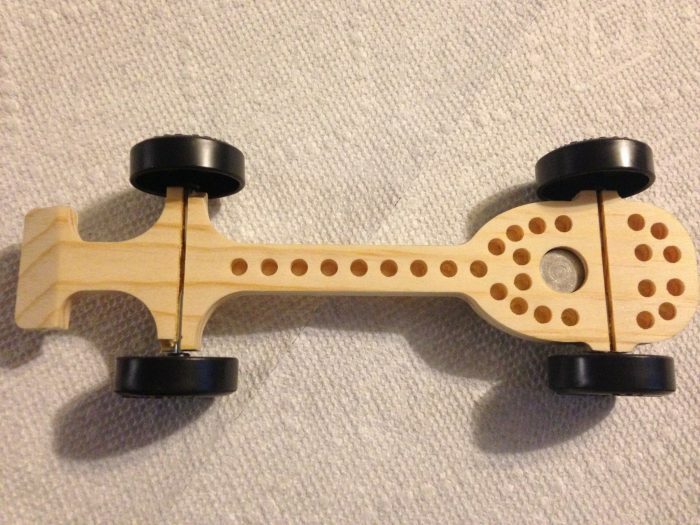 Take note, the Ultralight Pinewood Derby Canopy Car is raw, unweighted. Please properly plan for this. Comes in around 10 grams so you will need about 115 grams of additional weight. We offer tungsten canopy and cubes and customized lead canopy to achieve maximum weight. Design is based on the 7 principles of having a fast pinewood derby car. This body covers the low profile, lightweight, aerodynamic design. COG is infinitely adjustable.